According to Wikipedia: Millefiori (Italian: for thousand flowers) paperweights contain thin cross-sections of cylindrical composite canes made from coloured rods which usually resemble little flowers; although they can be designed after anything; even letters and dates. Swirl pattern paperweights have opaque rods of two or three colours radiating like a pinwheel from a central millefiori floret. A similar style, the marbrie, is a millefiori containing weight that has several bands of colour close to the surface that descend from the apex in a looping pattern to the bottom of the weight. Needless to say, all will do the job incredibly well. Who said we live in a paperless world anyway? 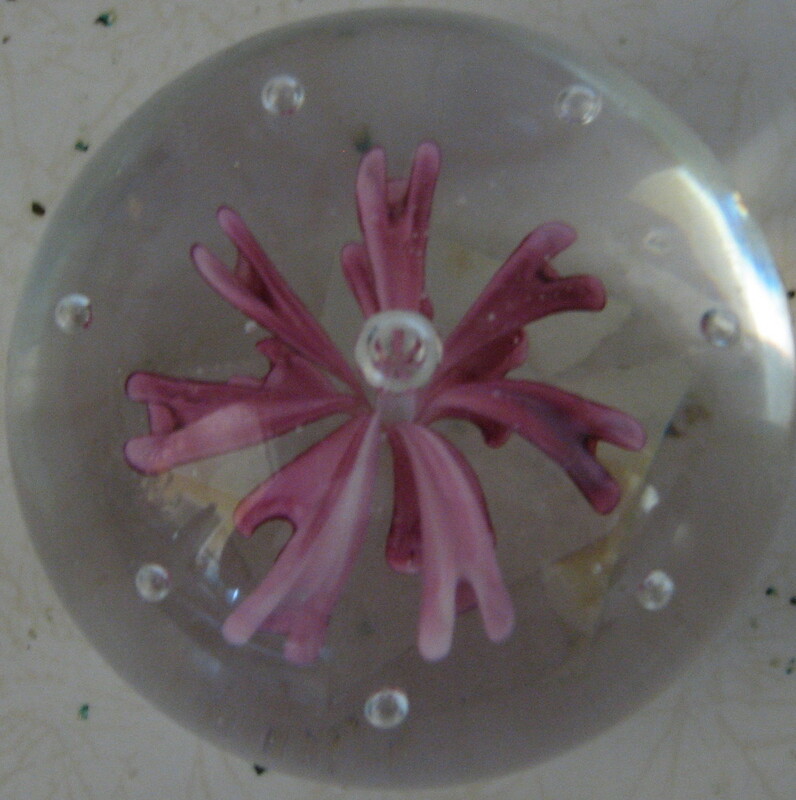 This entry was posted in Collectibles, Glass, Paperweights. Bookmark the permalink.